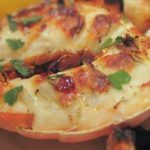 Grilled lobster: The little Italian island of Ponza is surrounded by water and so as you would imagine, the Ponzese know a thing or two about cooking fish and they prefer to cook their fish with as little flourish as possible. 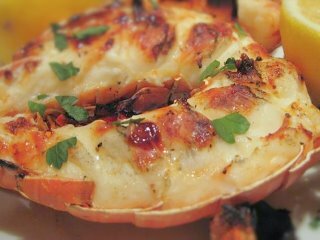 Which is why this recipe for grilled lobster is very simple. Turn on your grill to medium high heat. Prepare lobster by cutting along edges on tail and under edge, cracking several joints into the shell to prevent it from curling. Grill for 4 – 6 minutes depending on the size of the lobster, or until the flesh has whitened and begins to brown. Remove from the grill onto a serving dish garnished with fresh parsley and lemon wedges. Serve with the salt and olive oil on the side.